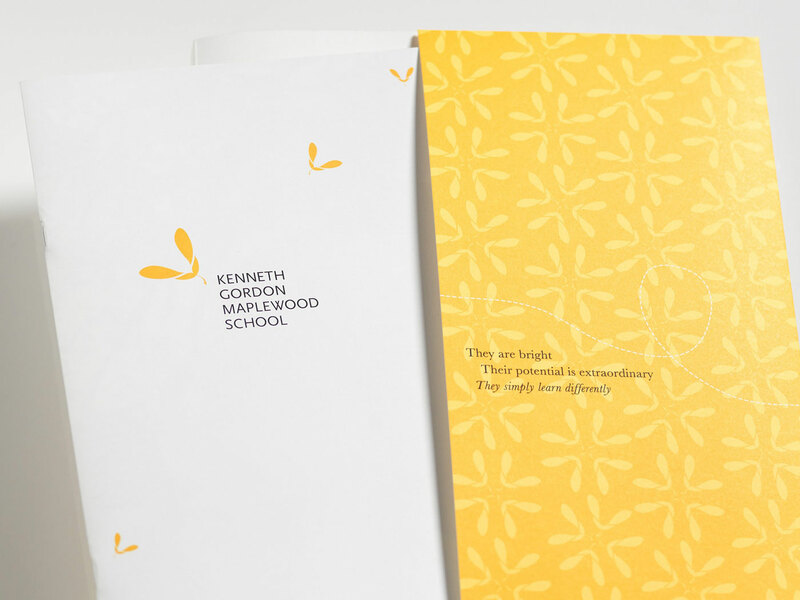 One of our most rewarding projects to date has been with the Kenneth Gordon School for children with learning differences, where our rebranding efforts coincided with their move to a new location in the Maplewood district of North Vancouver. 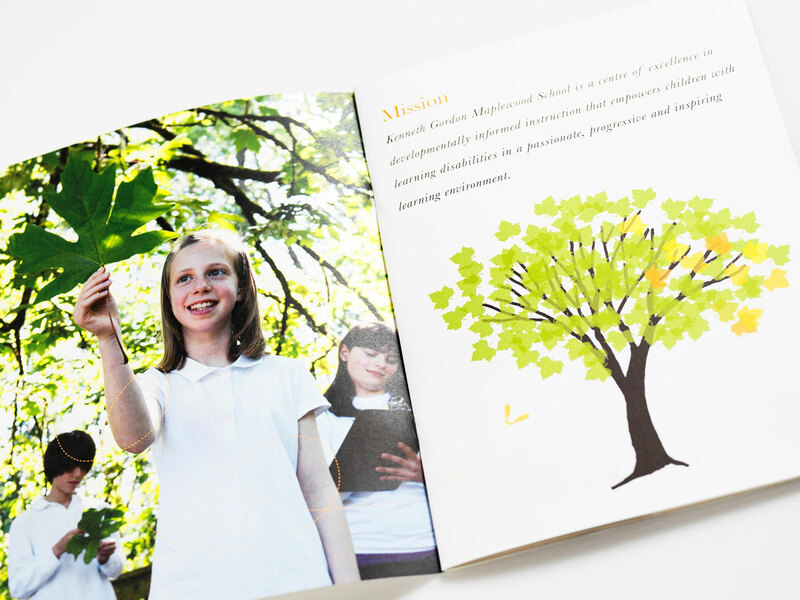 The tree is both a symbol of learning and a perfect representation of the School's new neighbourhood, but our final brand solution moved beyond the literal tree icon and centered on the detail of a maple key as a symbol for the school and its children. The keys of the maple shape and protect the seeds inside, allowing them to grow and thrive. When the seeds are ready the keys take flight and the seeds are able to grow into mature trees of their own. This image has become an intimate, powerful and magical way to tell the story of the School. 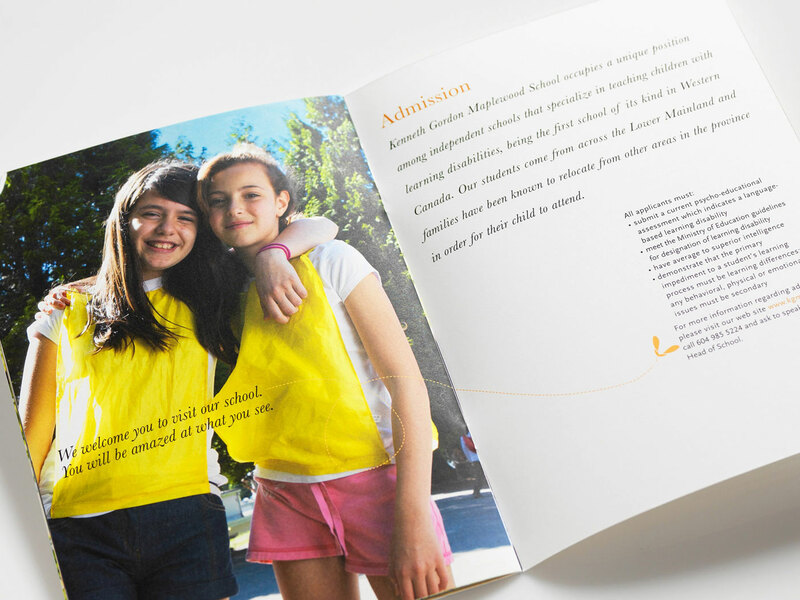 This rebrand has been incredibly successful in connecting with parents, educators and psychologists, donors and most importantly students to give them a new pride in their school.